DUNCAN LADASACH, who the “Baronage”  mentions as having acquired the lands of Ardchoill,  seems to have been an object of peculiar terror and aversion to Sir Colin Campbell of Glenurquhay, the 6th Campbell Laird. In the “Black Book of Taymouth” there is a satirical ballad entitled “Duncen Laideus alis Makgregouris Testament,” the writer of which is not known, but throughout which the gall of the penman in abuse of the warrior, with whom his Clan was at deadly feud, is virulently displayed. Donald McGillekeyr with my hand led at the pen. Fynla McGillekeyr and Duncan his broder our hands led at the pen. Neill McCoull VcIllekeyr and Malcum his broder do. do. Fynla McAne VcIndlo do. do. Donald McHewin VcIllekeyr do. do. Jhon Oyr McCoull VcIllekeyr siclyk. In the preface to the “Black Book of Taymouth,” Mr. Cosmo Innes gives an indictment which shows that Duncan Ladosach resented either this slaughter, or Allaster Our’s defection to an adopted Chief. Duncan Ladosach and his son were afterwards outlawed and put to the horn. Sir Colin Campbell engaged certain persons to pursue the said Duncan; in this case, as in many others, the Laird of Glenurchy having recourse to strangers and not to his own Clan. “Band to pursue to the deid Duncane Laudosach. “Be it kend till all men, We James Stewart sone to Walter Stewart of Ballindoran, Alexander Dormond and Malcolme Dormond, yonger to hawe gewin our band of [page 96} manrent to. . . Colline Campbell of Glenurquhay and his ayris; Duncan Campbell sone and apperand air to Archibald Campbell of Glenlioun and his airis. . . for all the days of our lyvetyme in all actiones. . . and in speciale that we sall dispone owrselffis at our haill power wytht our kyn, freyndis and part takeris to invade and persew to the deid Duncane Laudosach McGregour, Gregour his sone, thair seruandis, part takeris and complices in all bundis and cuntreis quhair euer thai sall happyn to mak resydens be reasoun that thai are our deidlie enemies and our Souerane Ladeis rebellis. And lykwiss salbe redye. . . to serve the. . . saidis Colline and Duncane and thair airis upon thair. . . expenssis baytht in the Heland and Lawland aganes all maner of. 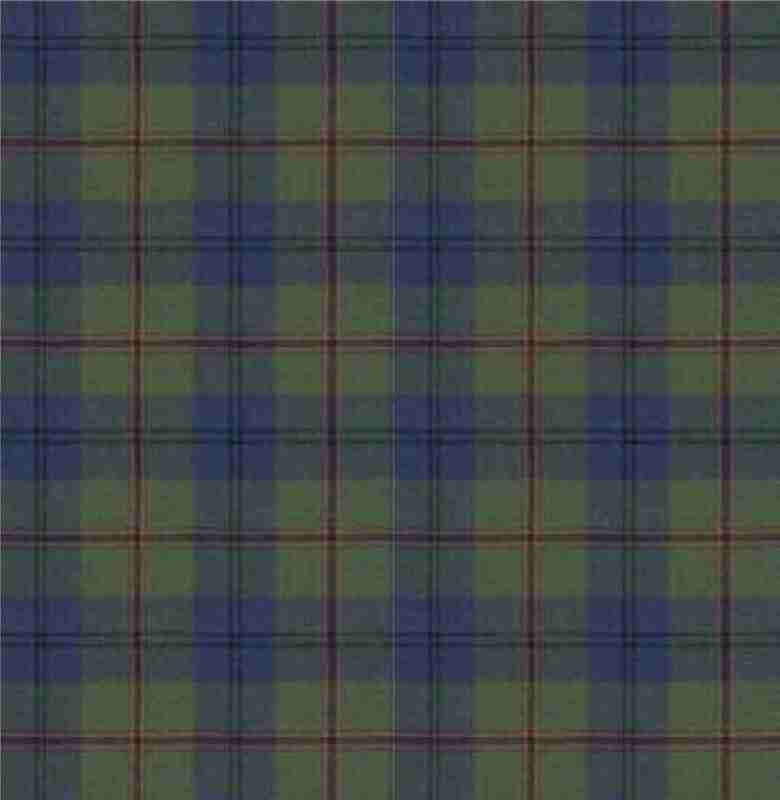 . . persones, the Quenis Grace hir authorite, the Earl of Menteytht and the Lord Drummond, allanerlie exceptit. In witness of the quhilk thing because we culd nocht subscrywe our selffis we have for us causit the notare onder wrytin subscrywe the samyn witht our handis tuechand the pen, at the Ile of Loch-Tay the xi day of Marche the zeir of God M.V. fifty ane zeir (1551) befoir thir witnesses Allexander Menzies of Rannocht, Thomas Graham of Calzemuk, Andro Toscheocht of Monze, Patrick Campbell, Johnn Mawire and Andro Quhit notar publicus. James Stewart wytht my hand at the pen. Alexander Dormond wytht my hand led at the pen. It is impossible to fathom the reasons which led Sir Colin, the following year, to reconcile himself to McGregor. “Be it kend to all men - Me Colyne Campbell of Glenurquhay grants me to have ressavit Duncane McGregour and Gregour his sone into my menteinance in all thir just actionis in so far as I may of law, and gude conscience. and atour to have forgevine the saidis Duncane and Gregour thair sarvandis complices and part takers the zeil of luf and gude conscience moving me to the samyn, all manner of actionis and faltis thay ony of them hes committit to me providing alwais that the saidis Duncane and Gregour fulfill thair band and manrent maid to me and my airis in all pointis. Forquhilkes grantis me to have given to the saidis Duncane and Gregour thair eschitis of all thair gudis movabill and unmovabill, quhilkis I purchist at my Lord Governouris handis, tha beand for the tyme our sourane Ladeis rebellis and now ressavit to hir heiness peace and my favouris. In witness wherof I hes subscriuit this my letter of meintenance at the Ile of Lochtay the secund day of Maii the year of God Mvc. fifty tua yeris befor thir witnesses Alexander Menzies of Rannocht, Patrick Campbell, David Tosheocht, and Alexander Maknab, Gregour Clerk  and Andro Quhit notar publico. The legend is characteristic of the times, but although the writer suggests that the hero may have been Duncan Ladosach, it would hardly have been possible at his supposed advanced age. Mr. MacGregor Stirling in the “Chartulary,” supposes this to have taken place in 1550-60 or 61; but by the following entry in the Obituary of the “Chronical of Fortingal,” continued by the curate,  the date of their deaths is shown clearly to have been in the month of June 1552. It is probable that it was to Duncan Ladosach that the compliment of personal decapitation was paid by Sir Colin out of his “zeil of luf.” As will be noticed later, Duncan Ladosach was undoubtedly much feared and detested by his enemies, and was turbulent and reckless of shedding blood in his quarrels. In that respect he was no worse than his neighbours. Not till the publication of the “Black Book of Taymouth” was his career looked upon as blamable, and those who enjoyed the venom of the scurrilous doggerel about him adopted its views. If Duncan Ladosach openly slew, perhaps, several men, Sir Colin, his executioner, compassed the death of many more. It has been supposed by Mr. MacGregor Stirling and others that Gregor younger of Ardchoille was identical with Gregor Roy, named “Bassen Gheal” (“Red Gregor of the White Palm or Hand”), celebrated in a mournful Gaelic song, but this song, which is supposed to have been composed by a lady of the Campbell race lamenting the death of her beloved Gregor, must apply to Gregor Roy of the Glenstray line, beheaded in 1570, whose wife was a Campbell, instead of young Ardchoille. This will be shown farther on. 1. Duncan, who succeeded him, and who, after his fathers death, was sent to Lochaber, whence he was called Duncan Lochaber or Abarach, as afterwards appears. Daughter, More (probably Mairie, Mary), married to a MacGregor. Duncan, . . took name of Livingstoun. Allester, . . .	Do. Do. Patrick,  . .	Do. Do. Donald,	. .	took name of Balfour. John, . .	. . Do. Do. “The Lairds of Glenlyon,” historical sketches contributed to the Perthshire Advertiser, 1855-58 by Mr. Duncan Campbell, parish schoolmaster of Fortingall, and now editor of the Northern Chronical, Inverness. the sketches have been collected by Sir Donald Currie, M.P., in a volume printed for private circulation, together with another volume of the same nature entitled “The Book of Gather and Fortingall,” and are quoted here by the kind permission of Mr. Campbell. “An exaction made by a superior, especially by the Head of a Clan, on his tenants and other dependants, for maintenance and protection. This was generally the best horse, ox, or cow the retainer had in his possession” (Jamieson’s “Dictionary”). It seems only to have become due at the decease of the clansman. Calpach or Colpach in Gaelic means a Heifer. - Editor. These all belong to the Dougall Ciar Family, to be considered later. 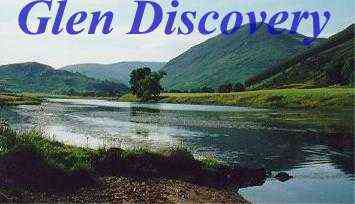 Descendants of Duncan Beg (see Obituary 1477) settled at Moreninch at the south-west end of Loch Tay. Moreninch was the property of Menzies of Weem at that time and till about 1600 when it was bought by Sir Duncan Campbell of Glenorchy. Allusion is made to this Alexander twenty years later as son of Patrick, son of Duncan; he was probably nephew of the two brothers, Duncan MacGregor in Moreynche and John Dow, son of Duncan, mentioned in entry October 1531. Slain by Ewin McDuncan VcGregor of Roro, sept. 22, 1552. - Chron. Fort. The author of this work, Mr. Duncan Campbell, supposes throughout that Duncan Ladosach was acting as tutor for the young Glenstray Chief, but we do not find evidence or mention of Duncan as tutor. It was Gregor McPatrick who, in 1528, got the ward of the lands of Glenstray. MS. by Mr. MacGregor Stirling. Patrick “Beg” and “Callum Baine” another son, slain in skirmish at Leny, 1626; as also Donald, son of the above Duncan.